As per the given information, it seems that there is a typing error in the question. 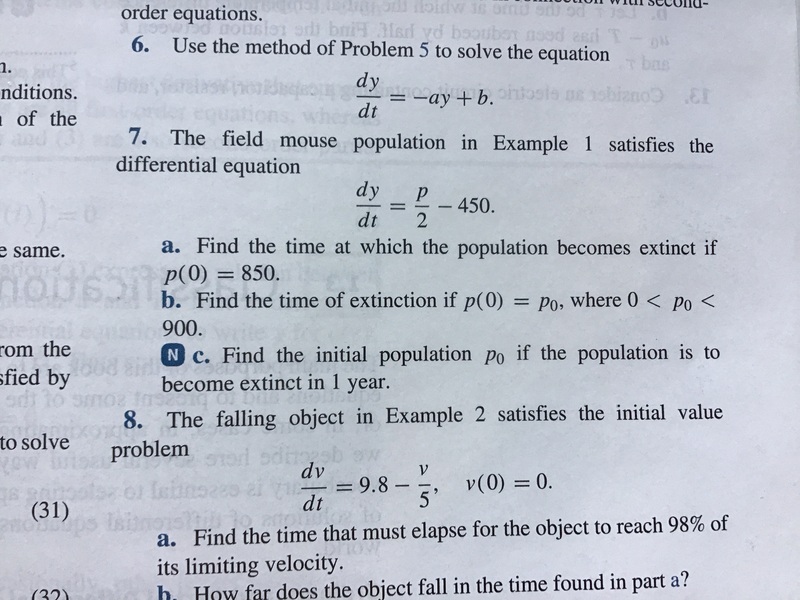 According to Leibnitze linear equation, instead of dy/dt, it should be dp/dt. So, I will be solving the question considering the equation to be : dp/dt = p/2 - 450. According to Leibnitze linear equation, the standard form of an ODE is : dp/dt + Ry = S, where R, S are arbitary functions of t.
The general solution of this ODE is: p(t) x I.F = ∫S(I.F) dt +C, where Integrating Factor, I.F = e∫Rdt.